Dr. Amit Ladkat is a dental specialist in Hadapsar with the experience of 12 years. He has completed his MDS in periodontics and Therapeutic Dentistry. 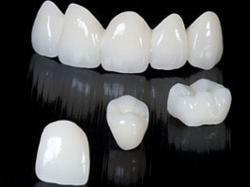 He has committed himself to provide best dental care services with advanced technologies. Dr. Amit Ladkat (Ladkat Dental Clinic) in Hadapsar is one of the most preferred dentists in the Pune. The doctor is known to have extensive dental training and to treat all dental problems with efficiency, dedication and precision. The clinic is frequently visited by patients residing in India as well as patients from across the globe. It also has plans on expanding its business in the years to come, owing to its immense success and widespread popularity. The doctor aims at focusing on the patient's satisfaction and making it a pleasant experience for them and has earned a loyal clientele over the years. Their state-of-the-art clinic is well-equipped with the latest of technological instruments to provide high-quality dental treatment to the patients. It can also be easily found as it is in close proximity of Above Modak Jewellers.